"Melanie is the real deal. Not only is she an accomplished and knowledgeable copywriter, she’s a sharp marketer, so you get the full stack. She’s also ridiculously fast and efficient which is great for me – I tend to move quickly and have a hard time finding people who can keep up – Melanie may be faster than I am! 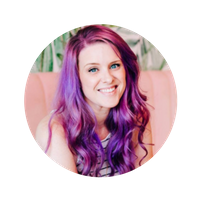 You can turn a project over to Melanie with very little direction and get back copy that perfectly connects with your audience (even when you don’t know how to articulate exactly who your audience is). To me, that’s one measure of a great copywriter. I’m also impressed with how Melanie consistently comes up with big ideas that dial into value propositions – not easy to do. Finally, I love that Melanie always shows up with a sense of humor and a great attitude. If you want a pro copywriter you can trust and rely on to get the job done well and on time, look no further."